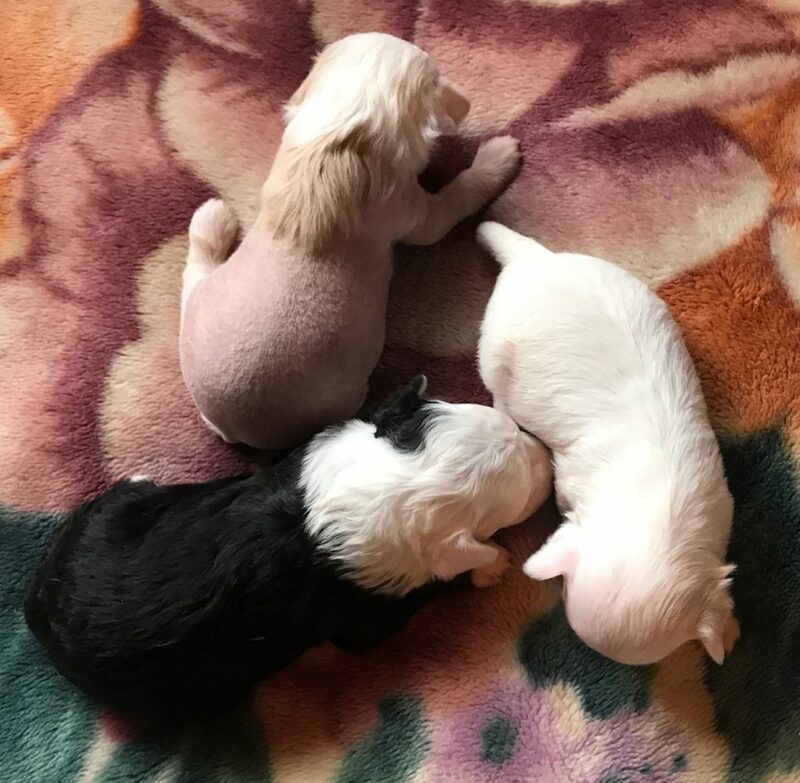 The parents Test A on all accounts and my puppies are all raised in my living space. 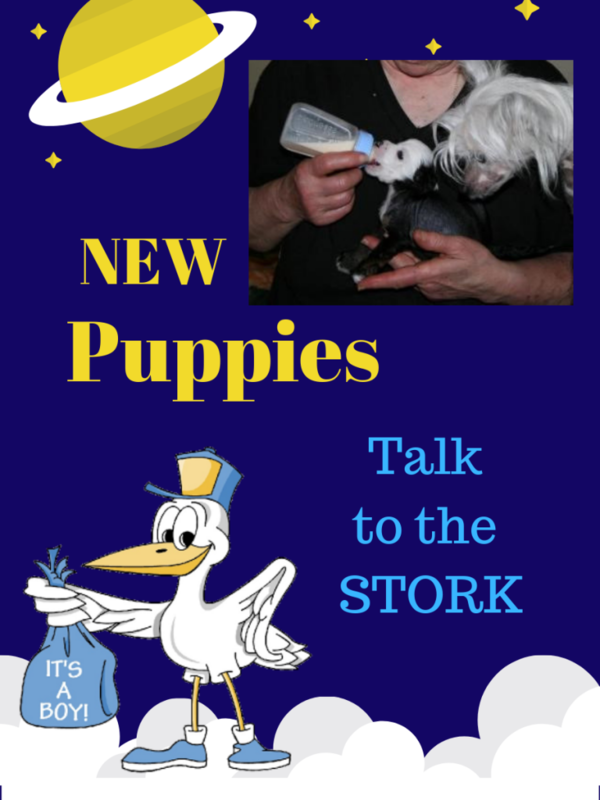 They are well socialized and spoiled by the time you get them. 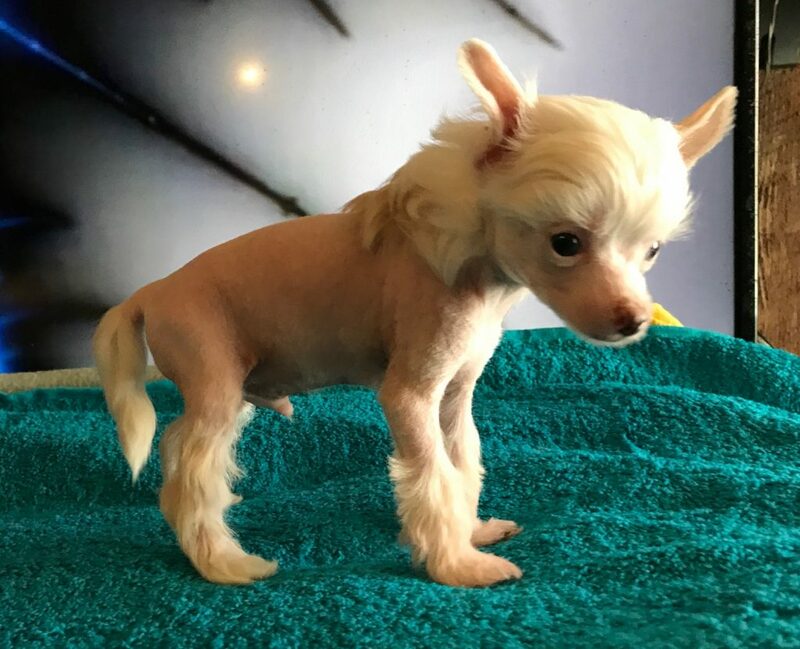 They are up to date on all required shots and health issues. 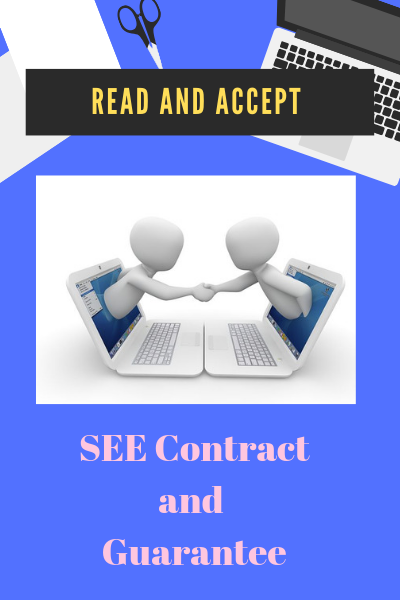 Read the Contract for all Guarantees. 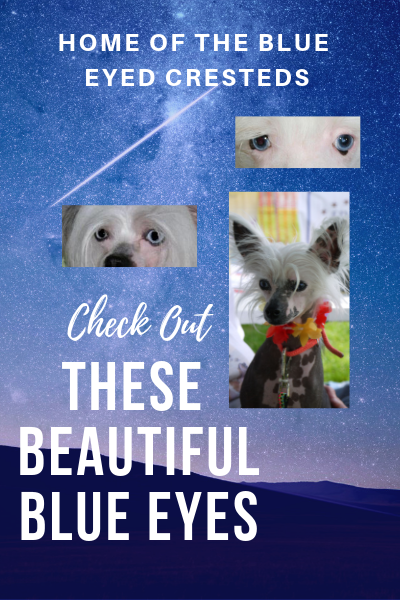 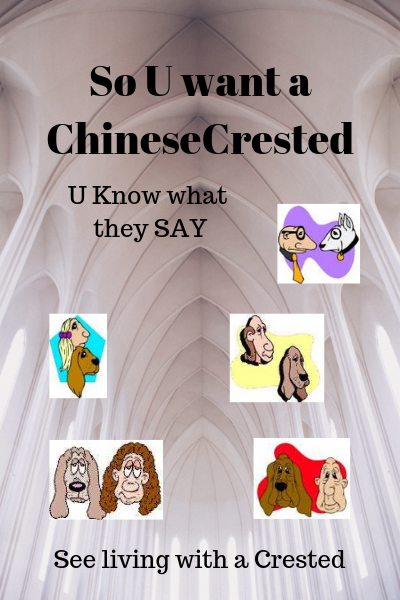 I have been breeding Chinese Cresteds since 1992 and at 80 years of age I am proud of my babies and know they will be a great pet to the proper home. 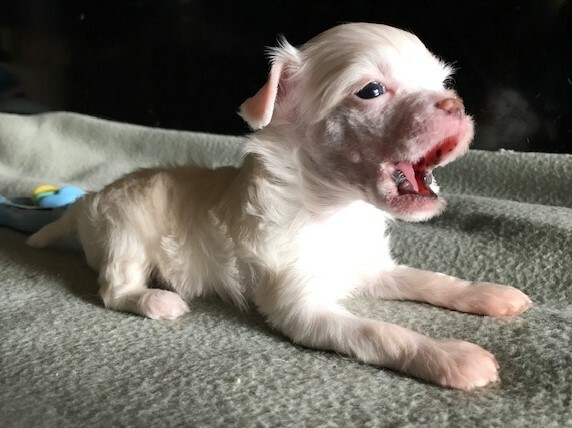 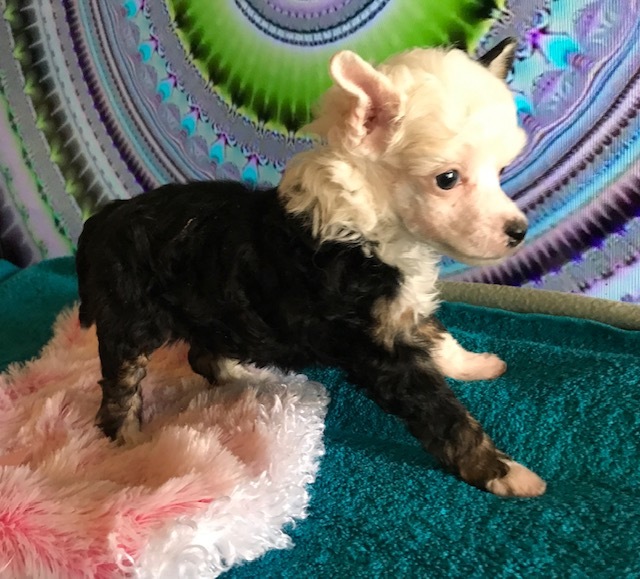 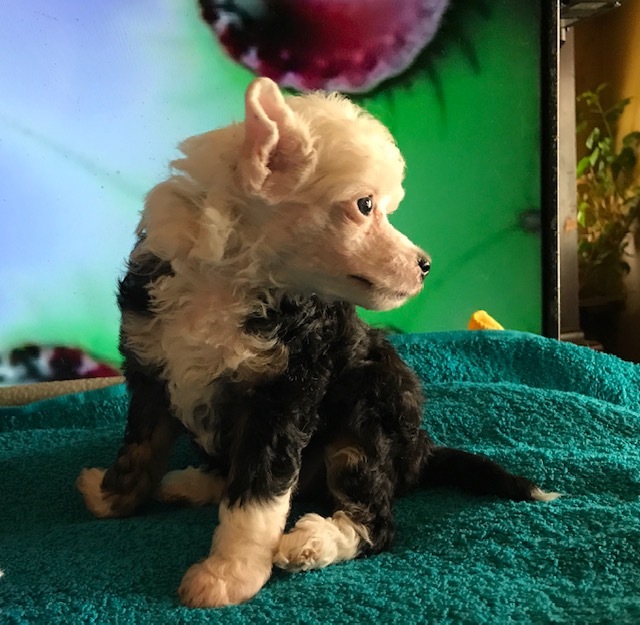 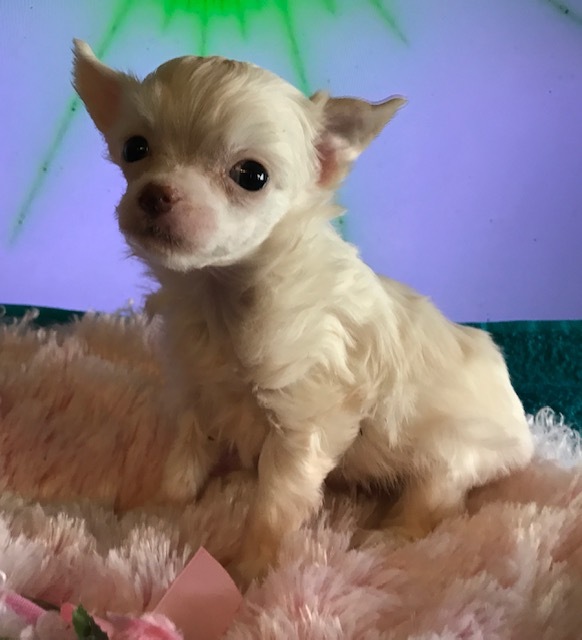 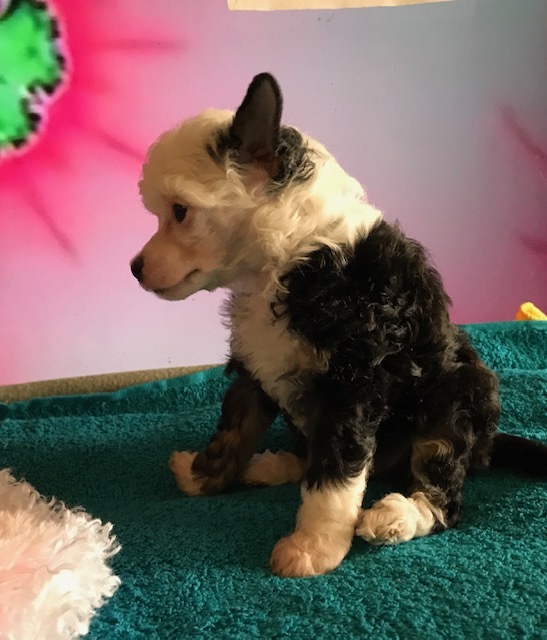 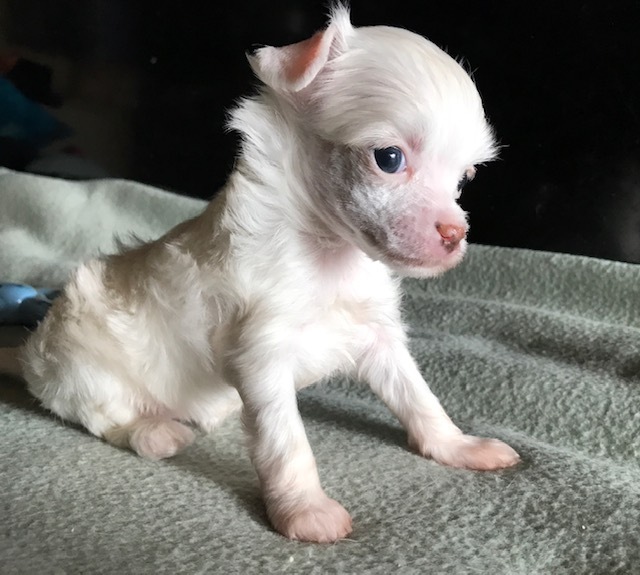 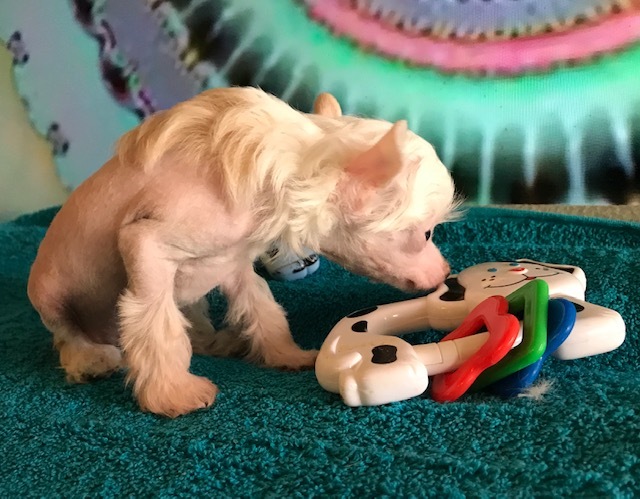 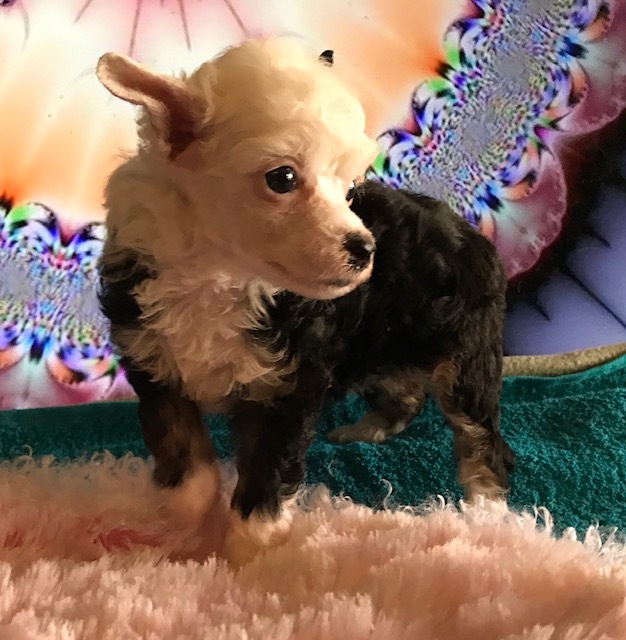 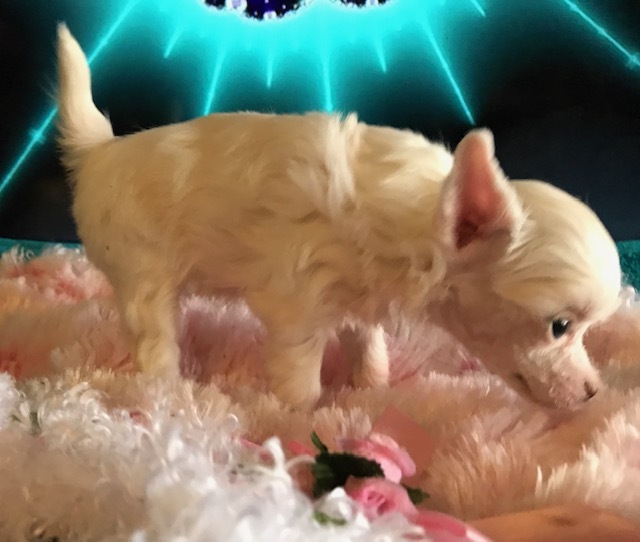 I am a real lady and love everyone at five weeks I learning how to make a mess out of baby cereal and am a bit clumsy when I walk but I learn fast and in a couple weeks I will be running all over town. 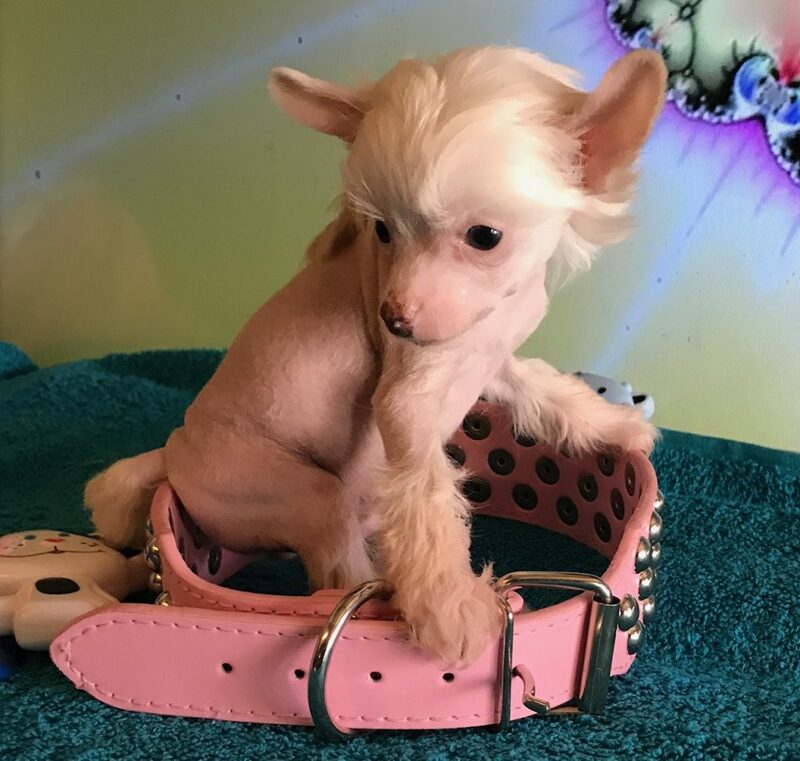 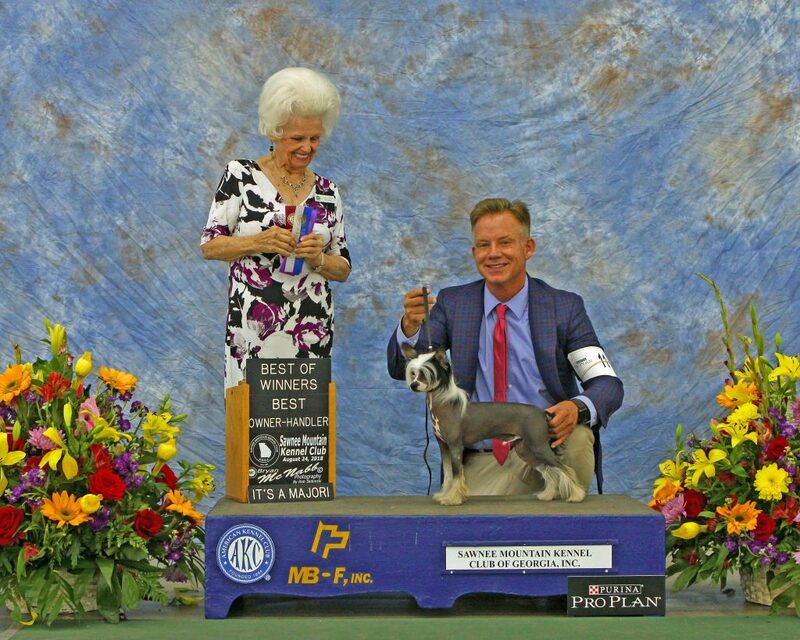 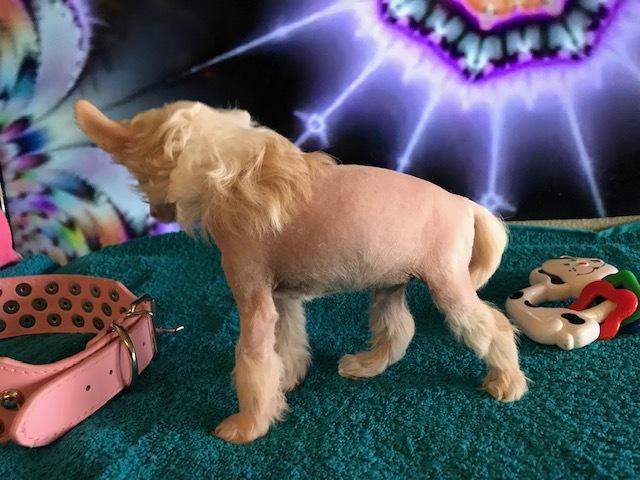 I am the only hairless in the little so my powderpuff siblings think I am a bit odd But I know the word is unusual and that is exactly what I am in a couple weeks I will be as handsome as My champion brother.